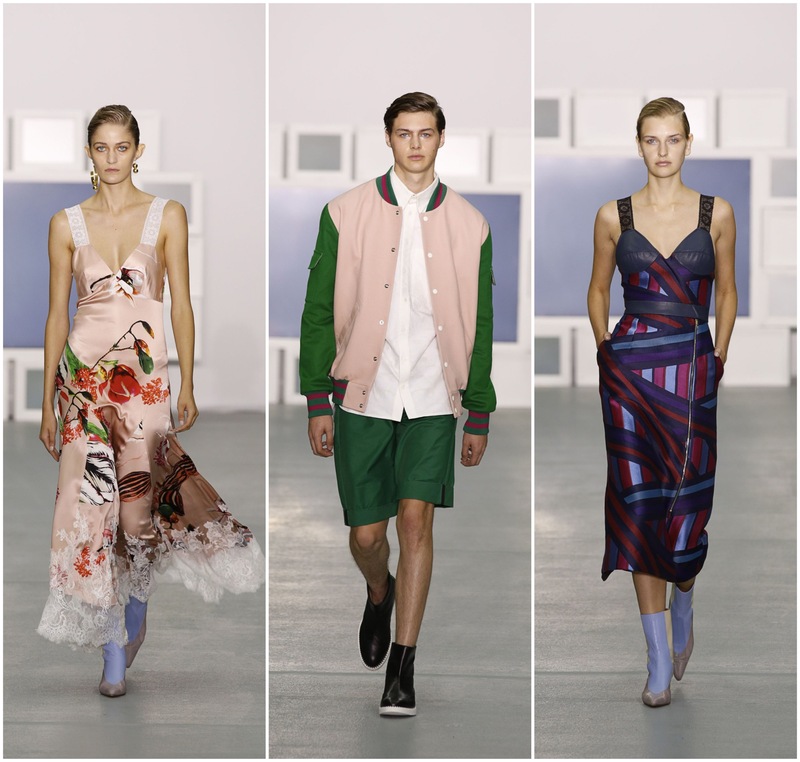 Over 60 shows and presentations were shown this season across London Fashion Week alone, check out the highlights below! Pure explosion of colour, glitter, feathers and frills on Friday as Ryan Lo presented his vision for the Spring 2017 season. Lo took the spectators on a journey to the 18th century Middle East via Venice and the Ottoman Empire. The girls wore harem trousers, rich jacquard dresses, scallop lace tiered dresses, silks printed with arabic lamps. Elephants were accompanied by puffy-sleeved bolero jackets, statement necklaces and shiny little heels complete with ruffled socks of every girl’s youth. Set in the Christ Church at Spitalfields, the current ‘80s trend showed no sign of fading as the era was Amy Powney’s main source of inspiration for this collection. But as she always does with her collections since being appointed the creative director in 2015, she made it look just that other level of cool. The reference point was a series of short films from 1989 New York Stories. 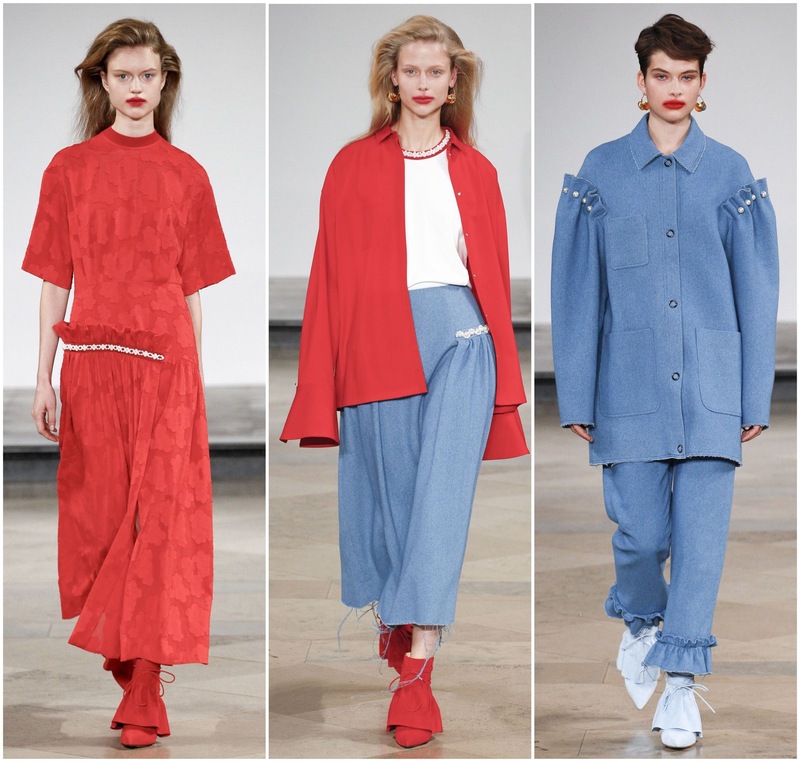 Models with blow-dried hair wore gold hoop earrings and red smudged lipstick matching the bright red pieces in the collection – oversized shirts with long bell sleeves worn over a white T-shirt with frayed wide jeans or long organza dress with floral embroidery, frilled dresses and a pair of trousers pinned with pearls at the ankles, a detail that appeared on most of the looks. 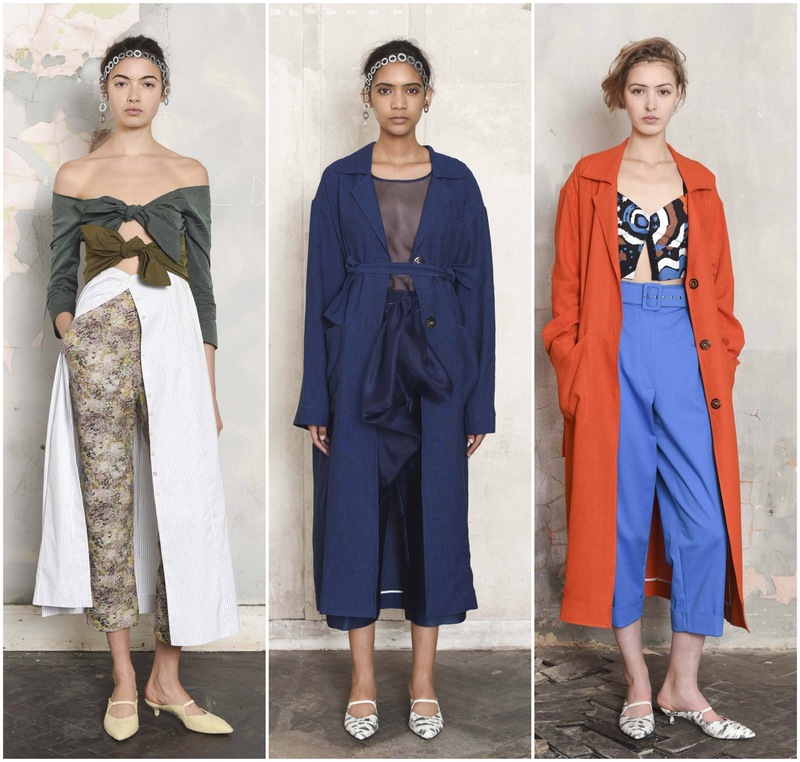 Following her eponymous label’s catwalk debut in 2013, Barbara Casasola has maintained one vision: to make timeless pieces with an exquisite fit, using the finest materials. Her SS17 collection was a credit to this philosophy of simplicity and quality. Casasola limited her palette to earthy tones: sand, olive and burnt umber reds, which do not distract from the interplay of textures and cut in the pieces themselves. Full length delicately knitted dresses were on display, as were more structured maxis made of corseted panels. As with previous collections, Casasola’s muted colour scheme circumnavigated undue conservativism with daring necklines and styling traditionally set pieces on their own. A dark smoking jacket was paired only with plain, low-heeled court shoes; button-fronted coats, in navy and caramel, were worn similarly. As a label “driven by a love of human stories”, Teatum Jones’s spring/summer 2017 catwalk show was a celebration of creativity, of Scotland, and of human diversity – particularly in terms of sexuality. The label had created a short film that played throughout the show, the voices of young Scottish artists and poets ringing through the speakers as models walked the catwalk. The whole affair was an unabashed celebration of difference, something that came through in the varied fabrics, silhouettes and influences that came together to shape this collection. The first few pieces bloomed with botanic florals and abstract landscapes, inspired by the early 20thcentury watercolours of Charles Renee Mackintosh. Ever ahead of the curve when it comes to innovative and intelligent digital marketing techniques, Burberry today jumped on the back of the latest industry revolution with their first see now, buy now collection. Shown in Soho’s Maker’s House, the collection comprised of 83 looks for both men and women, all of which will be available to buy straight from the catwalk. Inspired by Virginia Woolf’s Orlando, the collection played with traditional ideas of the masculine and the feminine. The men’s offering included slouchy, oversized shirts with ruffles at the neck and blouson sleeves, as well as floral prints and soft pastel-hued outerwear. On the top floor of the abandoned Old Truman Brewery in Shoreditch, something strange is taking place. The floor is divided into squares using white tape, inside each of which a scene is being played out. A trio of girls plait each others’ hair, another hangs stockings on a washing line, a fifth lounges on a deckchair, lazily jiggling her zebra kitten-heeled foot. It’s rather like a living doll house has been deconstructed and the scenes from each room placed in the same loft space – although on repeat, as though there is only a minute’s footage of each scene. This is the Isa Arfen SS17 presentation. 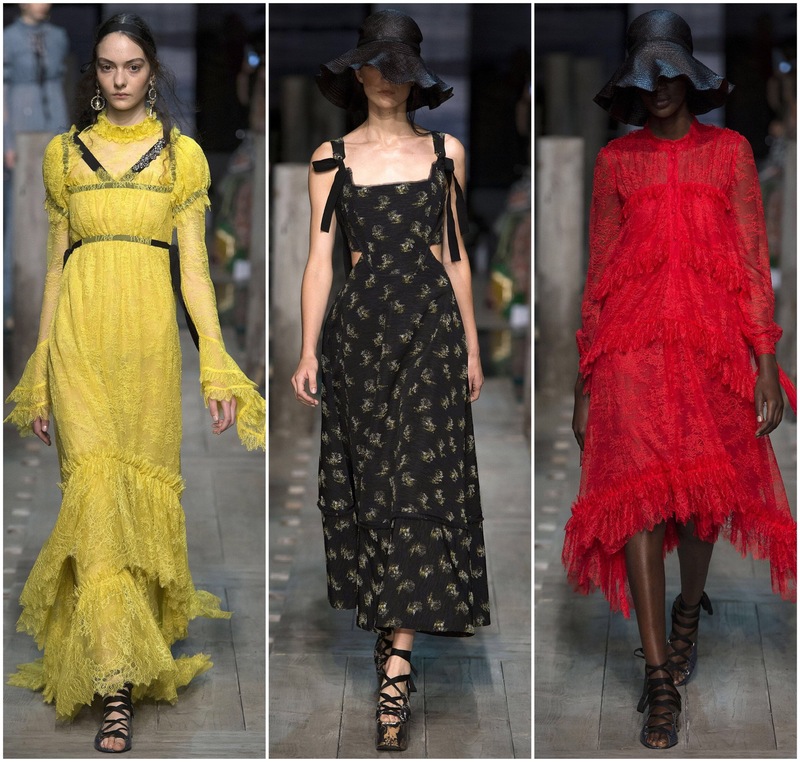 Canadian born – London living, designer Erdem Moralioglu always infuses his shows with a sense of drama and haunting beauty, and this time is no different. Models wore large floppy black hats that obscured their faces, gliding on a weathered boardwalk that appeared to weave in and out of water.The dreamy clothes reflected the brooding nautical theme, crafted in washed-out shades of blue and silvery grey, and all the frocks seemed to be covered in miles of rolling ruffles, lace, frills and velvet ribbons. London Fashion Week was seemingly taken back to a variety of time periods during the spring/summer 2017 collection showing from Mulberry. 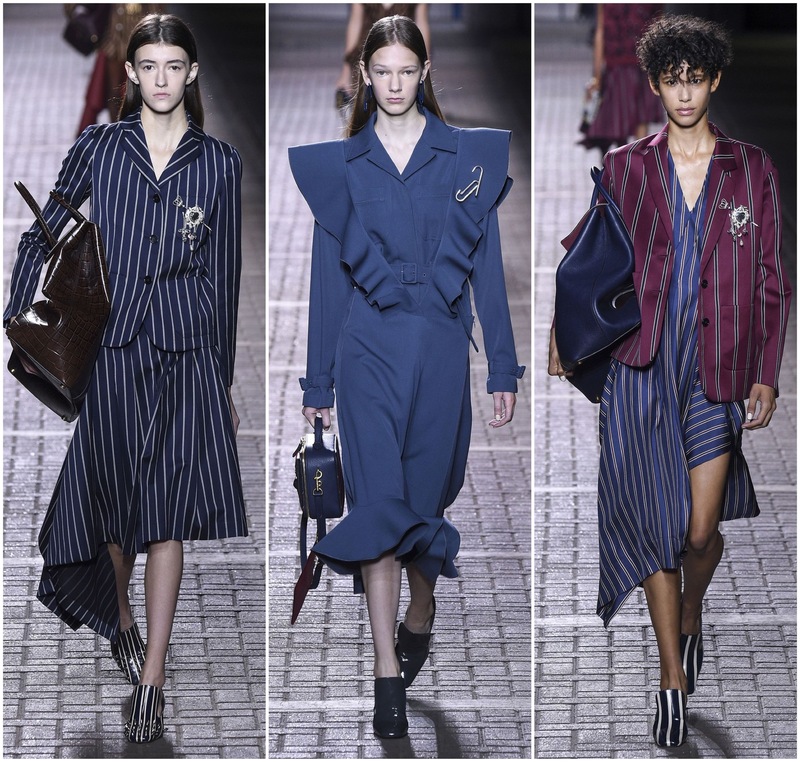 Models showcased the style of an everywoman on her daily routine, yielding a simple colour palette of burgundy, navy, olive, powder blue and a surprising interjection of canary yellow in the opening looks. The pieces themselves however, were nothing but simple. Excessively ruffled necklines and triangular shoulders made effective use of the subdued hues. Gathered bias-cut silks gowns emphasised body lines, with oversized proportions abounding. Elegant black embellishments offered a contrasting sparkle that allowed for variation without a great deal of visual overkill. A re-invention of the drop waist added an element of the 1920s to a number of suit jackets and dresses. Known for their arm candy, the bags and accessories matched in a number of dyed leathers and suedes. An interesting new addition was a tote with an oversized drawstring, giving the appearance that the leather was snatched together and gathered like a pouch. 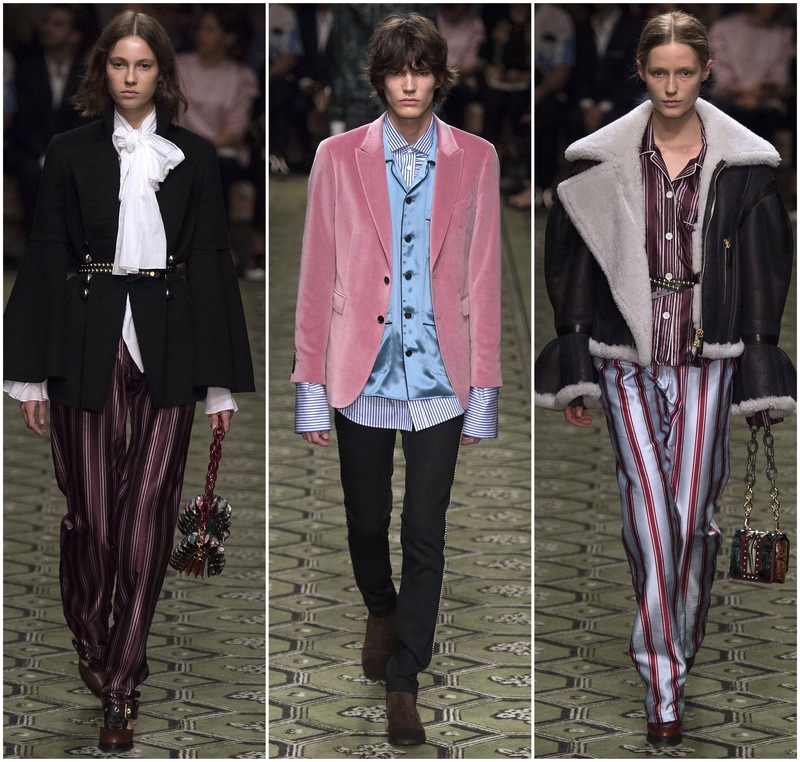 This entry was posted in LFW, Trend Reports and tagged Barbara Casasola, burberry, erdem, isa arfen, LFW, london fashion week, Mother of Pearl, mulberry, Ryan Lo, Spring 2017, SPRING SUMMER 2017, SS17, teatum jones. Bookmark the permalink.